"Greg Myers' Favorite Top 10 Haunted Places To Hunt For Real Ghosts"
paranormal related issues along with providing assistance to the public and other organizations. 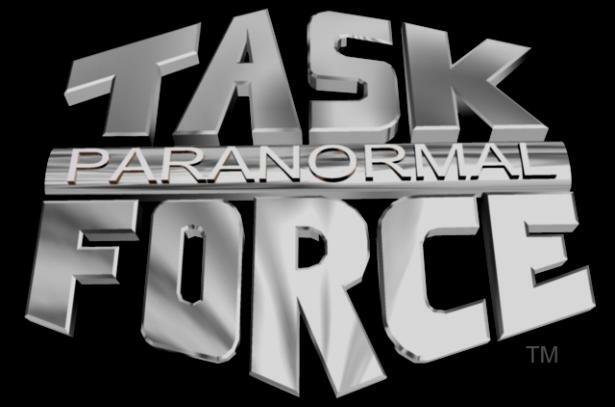 MISSOURI PARANORMAL RESEARCH™ now serves as its non-extreme investigative and research division while other divisions will be launched making Paranormal Task Force™, Inc. a "One Stop" resource for all paranormal needs of clients, the public and other organizations as well. would just tell her that she was crazy and that there were no ghosts in our homes. It's not just the purported ghosts making Zombie Road scary. Wildwood and Ellisville police complain that the number of trespassers on Lawler Ford Road - better known to locals as "Zombie Road" - is what's really spooking those communities. And, though Wildwood plans eventually to create its Rock Hollow Trail there and allow daytime use, both agencies have stepped up enforcement of laws that ban being on the nearly three-mile, broken asphalt, gravel and dirt road. Supposedly, the first inhabitants were Native Americans, Shawnee to be exact. A family in the 1800s claimed to have been frequently visited by their spirits. There is also the story of a man who was run over by a train. There is no record of this act ever happening (though I doesn't say it didn't). However, it is believed the ghost people are referring to is that of the first white settlers wife Della Hamilton McCullough who was killed by a railroad car. Zombie Road also saw death during the Civil War. Short battles with a group called Home Guard supposedly took place there as well as people attempting to cross the river unsuccessfully. And was THE spot during its clubhouse era until floods wiped everything away. This road has also gained fame for a specific photo taken by Tom Halstead and for being featured in the documentary Children of the Grave. filmmakers, The Booth Brothers ( 'Spooked, The Ghosts Of Waverly Hills Sanatorium' as seen on the Sci Fi "scfy" Channel) unearth the shocking existence of ghost children! orphan inmates buried in unmarked graves. lurking in the tunnels of a haunted orphan castle. evidence that Ghosts Do Exist! With over 90 years of history, our ghosts transcend many decades from the time of the orphanage to the years the military occupied the building. It is not uncommon here to hear male or females voices, to bump into a mass, hear noises such as doors shutting or boxes being moved with no one around or to see an image. Orbs have been detected in several areas of the building along with temperature changes and voices have been caught on tape. Some even claim to have gotten ghostly images in their photos. We are attempting to collect data on the occurances as they happen as well as collect information of events before our time here. Any additions, please let us know. In the meantime, you may find some of the evidence collected from several paranormal professionals that have been through here. Their web page links are listed below. If you are interested in learning how to hunt for ghosts we offer a workshop every other month. A Ghostly Guide to Missouri's Most Spirited Spots"
In attendance were Cousin Greg, Judy, Regina, Dan and Greg from MISSOURI PARANORMAL RESEARCH and Terry, Tom and Angie of Ghosts & Haunts in Missouri. Local weather conditions for this investigation for the time period of 3:30 p.m. to 11:30 p.m. Was partly cloudy, winds from the south/south west ranging from 6 to 12 mph, temperatures started at 60 degrees Fahrenheit and dropped to 46 degrees Fahrenheit by 11:30 p.m., dew point ranged from 21 to 28 for the duration of this investigation, barometric pressure ranged from 30.01 rising to 30.14 duration this investigation. Relative Humidity Ranged from 23% rising to 50%. Lunar data was a Waning Gibbous Moon at approximately 84 percent Full. Solar X-Rays were active and the Geomagnetic Field was unsettled. This house was built in the 1800's with an addition to it in the 1900's. Other structures were present on the property. and front yard area of this home. MISSOURI PARANORMAL RESEARCH organized a joint recreational overnight investigation of the famous Waverly Hills Sanatorium which was conducted on September 10, 2006. In attendance were members from Missouri Paranormal Research (MPR), Midwestern Paranormal Investigative Association (MPIA), St. Louis Paranormal Investigative Team (SPIT), SpookStalker and other individuals from the Missouri Paranormal Research Para-Forum. MISSOURI PARANORMAL RESEARCH conducted an investigation of the historical Arcadia Valley Academy in Arcadia, MO on October 21, 2006. In attendance from Missouri Paranormal Research (MPR) were Steven, Elliot, Eli, Greg, Judy, Tom, Theresa, Tim, Tracy, Charlotte, Also in attendance were Chris and Brad from the St. Francis County Daily Journal. The Lemp Mansion is located in St. Louis, Missouri, a short distance away from the Mississippi River. Take Broadway from Interstate 55 and follow that to Cherokee Street. Go west on Cherokee and turn right onto De Menil Place. The address of the mansion is 3322. The Pointer Family has owned and operated the Lemp Mansion since 1975. In 1980, Life Magazine called the Lemp Mansion "one of the ten most haunted places in America". The Lemp family line died out with him and the family's resting place can now be found in beautiful Bellefontaine Cemetery. Just what is it that has ghost hunters and others coming back, time and time again? * Water faucets turn on/off by themselves. * Real, audible feedback/responses - no need for EVP here! Major General William S. Harney Summer Home, Nation Register of Historic Places (1984). Known as the "Harney Mansion", this historic home stands on South Mansion Street, and is owned by the Harney Mansion Foundation, a private organization which is seeking funds for the restoration of the structure. The Sullivan Chamber of Commerce cooperates with the foundation and arranges visits to the home. The Harney Mansion is considered to be the most haunted mansion in Sullivan, Missouri. This home was constructed in the year of 1872 by a man named General William Harney. This served as a home for the summers for Harney from the year it was finished in 1872 to the year of 1884. Harney was a military figure that was well respected in the United States. He served in the Civil War. However, he also did several other things that made him a notable figure. For example, he fought in the Seminole War that took place in Florida, and he also defeated the Sioux Indians. Here, you will learn about Harney’s haunted mansion. 1. There have been several different types of glowing lights that have been seen in the mansion. These lights have been seen from a distance in windows, up close and personal as mists, orbs, and more. Numerous ghost videos and ghost pictures have been captured on ghost tours that have taken place in the building as documentation of the lights. 2. Many individuals who have worked within the structure and those who have toured the home have been subjected to strange and unusual smells that have no basis. These smells include that of a lilac like smell, as well as tobacco – as if it is burning from a pipe. 3. There are several people who feel as if they have been touched in one way or another by an unseen presence. This is often very frightening, but the touches do not seem to be invasive in any way at all. They actually seem to be rather friendly. 4. Apparitions of male and female spirits have also been observed in the haunted mansion. These apparitions seem to be strong, and glowing. In some instances, they acknowledge the living, and in other instances, they seem to be more “residual” in basis. 5. Noises have been documented throughout the structure. These noises sound like people walking, items moving, and even swift breezes have been documented by several. The Booth Brother's - Spooked Productions Horror Documentary "Children of the Grave" with Missouri Paranormal Research (now a division of Paranormal Task Force) in action with your favorite paranormal investigators including extreme haunting specialist Steven A. LaChance, the rock-n-roll ghost hunter Keith Age, Demonologist John Zaffis, ghost writers Troy Taylor & Rosemary Guiley along with yours truly from Paranormal Task Force. See the ghost hunters become the hunted, the invasion of the shadow children and so much more! If you didn't believe in ghost, you will after this movie and if you already did then you will be scared out of your seat by the footage and captures!